Larry Spears is an imaginative songwriter who crafts songs that tell a story from the heart. A man with a message to inspire. He has been honing his skills as a songwriter for over 20 years. In recent years he has teamed up with several talented musicians to form the band the DoublnotSpyz. The Spyz were a local Tulsa area favorite and part of the “red dirt” music scene that is still gaining a name and reputation as a predominate force in the singer/songwriter arena. 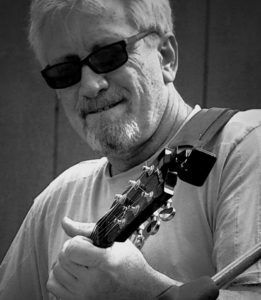 Larry played guitar & mandolin, as well as being the bands primary songwriter.